Get an overview of your cost centres without all the detail. 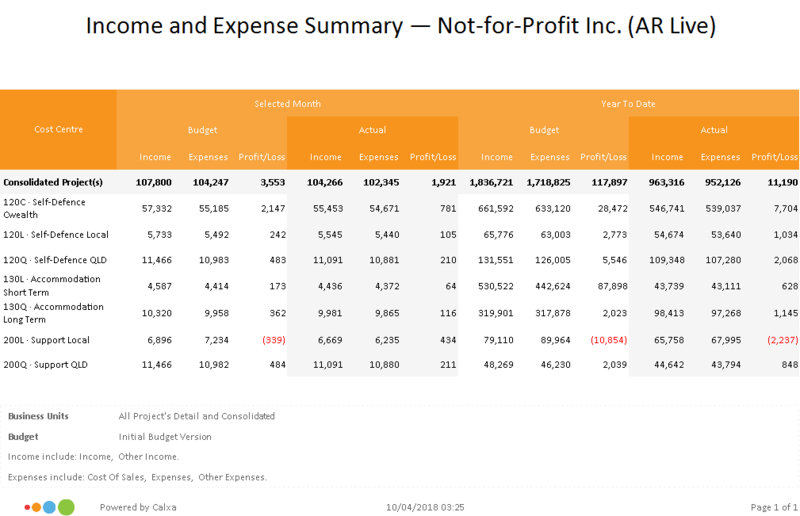 This report shows the income, expenses and profit by business unit for the month and the year to date. It provides a great summary for boards and senior management.